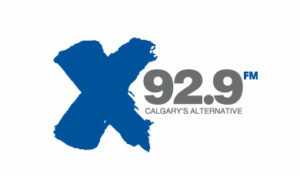 Join X 92.9’s Promo Team! 104.7 Heart FM, Oxford County’s #1 Local Radio Station, is looking for an individual to join our exciting team in a part-time capacity. This person will take the duties of Promotions Assistant, in our exciting Promotions and Interactive Media department. In addition the successful candidate will cover events in the Heart FM Community Cruiser on evenings, holidays and weekends. This job will allow someone to gain valuable experience while having fun! Must be open to flexible hours and the ability to be available when requested by the station sometimes even with short notice. Candidate must be available weekends and holidays. Regular reports to the Promotions Director regarding Community Cruiser planning and events. Maintain a clean public image, and promote our sponsors and their products in the most positive way possible. Currently in Broadcasting School, hold a broadcasting diploma or equivalent experience in broadcasting. A Valid Ontario G License with clean driving abstract – we do require a copy of your drivers abstract in order to be added to our company insurance. Must enjoy a fast paced, team environment and have the desire to learn new skills. A positive, friendly person who has no problem meeting with listeners. Cody Hayward – Promotions Director/Midday Host at 104.7 Heart FM by email via cody@1047.ca with the subject “Cruiser Personality”. Only those being considered will be contacted. Heart FM is an equal opportunity employer. Apr 15-21 “National Volunteer Week”: A time to recognize and celebrate the incredible efforts of our volunteers. See http://volunteer.ca/content/national-volunteer-week. Apr 8-14 “National Wildlife Week”: This year, we are celebrating how we are all connected with wildlife. Share your connection online using #ThankYouWildlife. It can be a brief experience, a favourite animal, a life-altering moment – anything at all that you would like to celebrate with us. We are also cognizant that some comments will reflect your concern for wildlife but we will encourage a more positive engagement. We’re writing a letter of thanks to Canada’s wildlife and we are all its authors! See www.cwf-fcf-org. Apr 20 “Global Youth Service Day”: See www.gysd.org. As consultants, we see lots of resumes and talk to lots of job seekers. We are frequently asked to be involved in the hiring process to help ensure radio stations find and employ the best candidates for their positions. In the last few months we have done a lot of work in this area, so I thought it might be helpful to pass along 10 tips that might help you find your next radio job. Read the job post carefully: The employer has hopefully put some thought into the position they are trying to fill and will have clearly set out the qualifications and level of experience they are looking for. If they are advertising for an AM Drive Host with at least two years on-air experience, that means they really are looking for someone who is not fresh out of school. Chances are there is a good reason for this. They may be in a competitive market and need someone who has the experience and the skills required to succeed in such an environment. Education is important, and in many cases, the skills taught in broadcast colleges today are far superior to even a few years ago. More importantly, though, are the hours a talent spends behind a microphone honing their skills and gaining real life experience at a radio station. In Canada there are major, medium and small markets. When a major market station is looking to fill a position, typically the successful applicant will come from a medium market. There are exceptions, but not often. This, however, will create a position in that medium sized market, and that is normally filled by someone moving up from a small market. This then creates an opportunity in a small market, and chances are, the broadcaster in that small market will be willing to accept someone who has recently graduated from broadcast school. Now, I stress that this is not always the case and there are exceptions, but they tend to be just that, the exception and not the norm. If you have recently graduated from a broadcast course and you see an ad that clearly states they require someone with at least two years broadcast experience, you should think carefully before applying if you have not spent the last two years working at a commercial radio station and therefore you don’t meet the job requirements. You cannot pass off the two years you spent at broadcasting college as being two years broadcast experience no matter how you cut it. But do not despair, there is a job out there for you, just not that job. Because that position was filled in a larger market there is the trickle-down effect and within a few weeks the medium market will have filled the vacated position and hired someone from a smaller market. That is the job you need to be going after. Another reason not to apply for a job for which you are not qualified is that it may result in the potential employer feeling that if you cannot read the job ad properly you are not someone they want on their team. So, applying for a job you are not qualified for may result in hampering your chances down the road. By the way, the advantage of starting out in a small market is you will get to do lots of different jobs, probably (hopefully) make a few mistakes along the way, and learn so much that could not be taught in school. Hopefully, this small market broadcaster will have training systems in place and provide lots of coaching and feedback. Spend two years in that small market if possible, because in year one you are still experiencing everything for the first time. In year two, you have first hand experience of all the things that happen in that market and can use that to your benefit. Don’t be in too big a hurry to get to that bigger market, until you have learned all you can from the people at the station and the people you encounter in that small market. Do your research on the market: Before you blast off that application, spend some time researching the market, so you understand what you are getting into and what the benefits and pitfalls might be. Check out the city’s website, look for the economic data, climate information, the cost of renting or buying and who the primary employers are. Incorporate some of that information into the cover letter to let the reader know that you did some research and you know a little about the place. If possible, visit the market and drive around to get a feel for what makes it tick. It’s important that you feel good about the community and that you can communicate that to your prospective employer. Do your research on the company and the radio station: Again, there is often lots of information about the company and the radio station that can be easily found from the comfort of your keyboard. Check the CRTC website, Google the company name, check out the radio station website and look at their LinkedIn and social media profiles. Try and listen to the radio station audio stream for a few days via their online link or the Radio Player Canada app and make some notes. What impresses you about the radio station, what do they do well, and how do you feel you can add value to this station if you are employed? Also, are there some areas you feel you could help the station using your skill set? If, for example, this station has a very mediocre website and you can demonstrate how you helped your current radio station improve their website, this might be something you mention during the interview process. An introductory sentence or two, which states why you are writing to apply for the position and why you feel you are the right person for the job. Three bullet points that summarise your three strongest selling points. A closing sentence which indicates you have enclosed your resume and audio demo as directed, how the reader should get in touch with you should they require more information, and that you are looking forward to hearing from them. The cover letter should not be more than one page, should be in keeping with the tone of the job advertised and always be personally signed. It probably will not come as a surprise to you that most stations will receive lots of applications for any position they advertise. I know of a position that was advertised in the last few months that resulted in over 100 applications. My friend Dave Charles, who is staffing two radio stations currently, told me he received over 350 applications. It’s all about getting your package moved to the “maybe” folder, instead of the “not worth looking at” folder. The employer will then focus on the “maybe” folder and do a deep dive on each applicant to come up with the “shortlist”, which is typically 5 applicants that move to the next stage. Ultimately, they will employ the person they feel is the most qualified and the best fit for the position and the organisation. Carefully check your resume and update it if necessary: There are lots of experts who can coach you on how to create a resume that will get noticed. Most employers look for a clean, well laid out document that lists your experience in chronological order, your qualifications, your interests, your references, and of course how to contact you. Again, have other people look at your resume and make sure there are no mistakes. Just as your cover letter should be tailored for the job advertised, so should your resume. By the way, a recent photo is something you might want to include in the resume as that can help you stand out from the others. The old saying that a “picture paints a thousand words” can be very true when included in a resume. Include audio or links to audio: I am astounded by the number of people who apply for an on-air position and do not include any audio with their application. This would seem such a basic thing, because without the audio, the prospective employer has no clue what you sound like. Lots of resumes these days will include a link to Soundcloud or the applicant’s website. Be sure to check these links yourself to make sure they work. If the prospective employer gets the old “Error 404” message they will likely move your application to the “no” folder. The audio should demonstrate your most recent work and what you are best at. Be honest: It goes without saying that you should never lie on a resume, as that can be grounds for dismissal when you are found out. Do not pad your resume or exaggerate your skills or experience, as that can be easily checked with a phone call. If you get the job, but clearly cannot do it, the result is bad for both you and the station and may result in you not making it past the probationary period. Make sure you really want to apply for the job: Before you rush off and apply for any and every job going, make sure you are really looking for a job and that you are prepared to move for the right opportunity. It is really frustrating as an employer to go through the entire recruitment and interview process and make a job offer, only to have the applicant turn down the position for a reason that comes out of left field. So, if you have a terminally ill parent that you need to be close to, if your spouse cannot relocate, or you are not really up for moving from one side of the country to the other, then please do not apply in the first place. It frustrates the employer and it will be remembered. I helped a client in the west find an entry level announcer some time ago. They flew this person to the closest major city and then it was a bus ride to the town where the radio station was located. But the applicant got part way and had a change of heart. They got on the next bus heading in the other direction and flew home without every letting the radio station know they were not coming. I have seen that same application for other jobs, but I cannot, in good faith, recommend them. Think about geography: This was touched on in the above point. Give a lot of thought to where you want to end up and where you are prepared to move to get there. When you are young and have no ties, getting paid to hone your skills as you move from market to market is a great way to see the country and experience different cultures and traditions. If you are not prepared to move from one province to another, or from one side of Canada to the other, do not apply for jobs that are not in your geographical comfort zone. But be wary of writing off markets in parts of Canada you know nothing about. We have the pleasure of working in the Yukon and that is one of the most beautiful parts of Canada in both summer and winter. This is where the world-famous dog sled race starts or finishes every other year. If you love the outdoors this is an incredible place to live and work. People pay big money to fly from all over the world to experience the Yukon for themselves. You can do your airshift and be on the ski lift within 20 minutes of leaving the radio station. Where to apply if you have no experience: One of the best entry level positions on a radio station is that of the Summer Cruiser person or Promotions Assistant. Most radio stations will hire one or more Summer Cruiser staff, and this is a great place to start and a great place to learn. Yes, you probably set up and tear down more remote equipment than you’ll have hot dinners and you’ll end up driving the promo vehicle all over the broadcast area. And while the hours might be long and require working lots of weekends, public holidays and nights, you will also learn a lot along the way. Being a great Promotions Assistant or Summer Cruiser person requires skills that cannot be taught in school. You need to be outgoing, positive and able to easily interact with listeners, clients and station staff. Your ability to connect at all levels is critically important. Another skill you’ll need is being a wiz on all the social media platforms on which the radio station is active. Frankly, you may be able to offer staff some tips and tricks on how best to use each platform. Lastly, you may be able to put your video and video editing skills to good use in that position as more and more stations expect promo staff to shoot, edit, and post video on their websites and social media to grow engagement. Doing this job, and doing it well, often leads to opportunities within the radio station or within the company. Be the person who says, “What can I do to help?” and endear yourself to as many people in the station as possible to get noticed. If a job comes up, you are already there and, hopefully, understand the people and the culture of the station. At the end of the summer, if there are no jobs available, but they really like you, they will at least give you a letter of reference and have helped you add to your resume. I got my first break when someone from corporate was visiting the radio station and somehow I impressed them. They mentioned my name to a manager in another market who was looking for staff and I got to move to a bigger market. Conclusion: This is not meant to be an extensive list, by any means. I am sure others could sit down and come up with other helpful tips that have not been mentioned. The goal of this article is to make it easier for applicants to submit a better application and hopefully land that next great job in this great industry. If you have any suggestions or questions, please reach out and send me a note at info@ByrnesMedia.com.